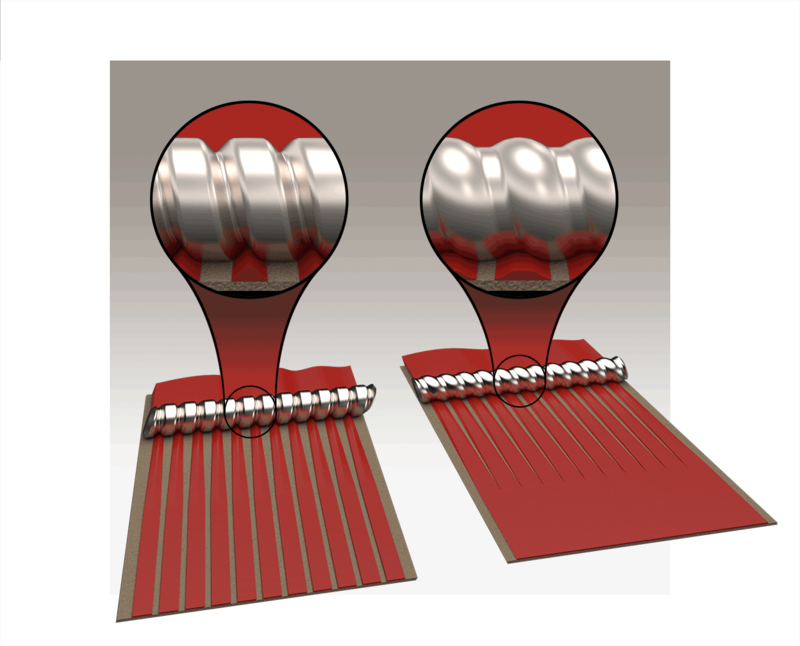 Rod lines are a series of machine direction (MD) lines sometimes seen in paper coating whose spacing usually matches the pitch of the thread (Fig 1). Rod lines are caused by a failure of the metered coating to adequately level. While these MD waves and furrows are a natural occurrence in metering rod coating, they will not cause a problem with your finished product as long as conditions exist to allow the coating to level after it passes the metering rod and before it reaches the dryer section. Unfortunately, this is not always the case. If you are seeing rod lines in your finished coating, successfully addressing them will increase the quality of your finished product and, if done properly, increase the efficiency and quality of your coating operation. Buschman provides advanced metering rod solutions to paper mills, paperboard mills, linerboard manufacturing plants, and converting plants around the world. When we see rod lines in the field, it’s often the result of a rod coater trying to improve operational efficiency. While all manufacturers should have the goal of increased efficiency, common methods used to achieve this goal can have negative consequences. Here’s what can go wrong. Increasing the percentage of solids in a coating solution means that less wet coating needs to be applied to achieve the desired dry coat weight. Since less liquid is being applied, less time is required to dry the coating and line speeds can therefore be increased. Increasing solids, however, usually means increasing viscosity as well. When viscosity increases, so does the time required for the coating to level. Increasing line speed also reduces the amount of time the coating has to level before it hits the dryer. If your coating operation is not dryer limited, you may simply be able to increase line speed. However, as noted above, this reduces the amount of time the coating has to level and a product that was previously smooth and uniform may develop rod lines with this change. 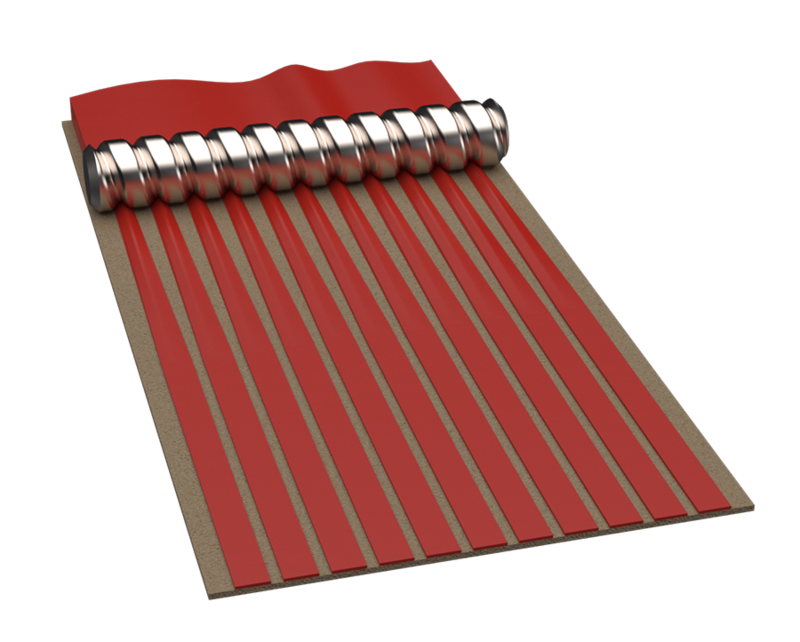 As line speeds increase, the hydrodynamic force of the coating can force the substrate away from the rod. To compensate, loading pressure may be increased. But if loading pressure becomes excessive, the threads can begin to penetrate the substrate, effectively choking off the open area of the thread and diminishing coating volume. For more information, see our article on loading pressure. If high line speeds and coating viscosities are the enemy of leveling, then diluting your coating and reducing line speed is an obvious quick fix. But it’s also a step backwards in efficiency. A much more cost-effective way to eliminate rod lines and increase your efficiency is to use a metering rod with a thread shape engineered to aid in the leveling process. Figure 2 illustrates a comparison between two very different thread profiles. The example in Figure 2 shows the effect of thread shape on leveling. The rod on the left has a very wide crest that does not allow the coating to fully level after metering. The rod on the right is designed with a narrow crest, effectively reducing the amount of leveling that needs to occur after metering. The impact a custom designed thread shape can have on coating smoothness and uniformity is enormous. Buschman has more than 25 thread shapes we have engineered to solve a variety of coating challenges, including leveling issues. To learn more, contact us.